Very good performance by Oyama karate fighters! 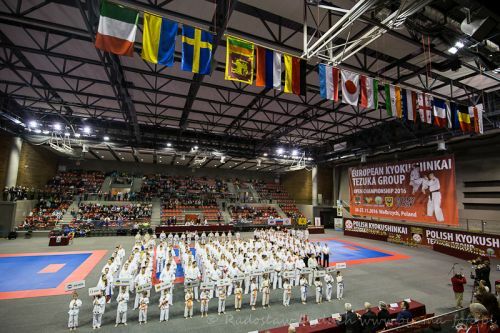 City of Walbrzych hosted Open European Championship Kyokushinkai Tezuka Group on November 26-27 2016. Event was divided into: Kata, Light Contact, Semi-knockdown and Knockdown divisions. 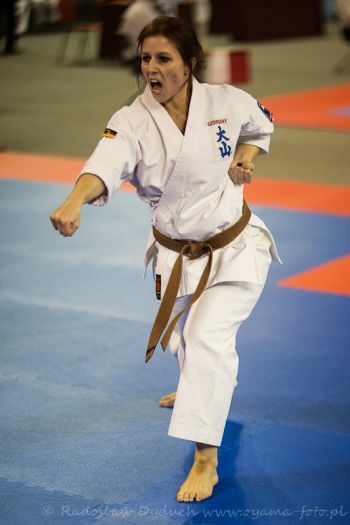 Tournament gathered almost 500 competitors in from 13 countries representing KYOKUSHIN and OYAMA styles. The competition was graced by the presence of the Chairman of IKO Kyokushin Kaikan Tezuka Group – Kaicho Toru Tezuka 9th dan (Japan). Tournament was also graced by the Chairman of OYAMA International Karate Federation - Hanshi Jan Dyduch 8th dan and Chairman of European Kyokushinkai Tezuka Group- Shihan Eugeniusz Stanisławek 6th dan (Poland). 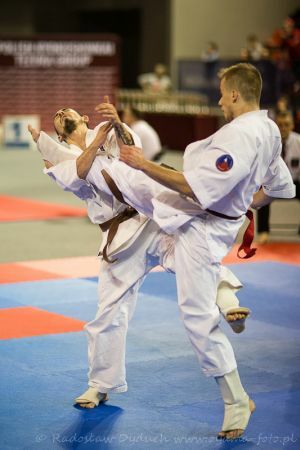 The Referee coordinator from OYAMA IKF was Shihan Pawel Pajdak 6th dan (Poland). 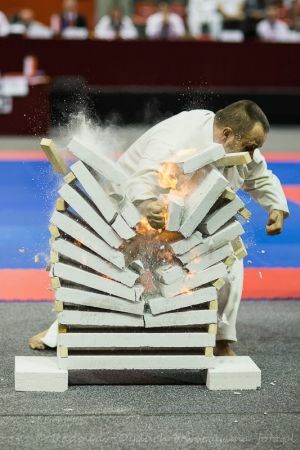 Hanshi Jan Dyduch thanked the hosts on behalf of the OYAMA IKF for the invitation and congratulated for the spectacular sports hall preparation. Hanshi presented Shihan Eugeniusz Stanislawek with a letter on occasion of 25 years of Oyama karate in Poland. In his speech he underlined his 20 years of cooperation with Shihan Stanislawek, that was always based on mutual partnership and trust. Saturday morning was reserved for the tournament in Kata, Weapons Kata and Team Kata. Same day afternoon the prestigious Knockdown competition took place. The tournament was divided into U23, Senior and Veteran divisions. Tournament was dominated by Polish fighters, gallant Georgians and tough Russians. Georgian- French battle in heavy weight category. Sunday focused on European Championship for Juniors in Light Contact and Semi-knockdown. In those fields Georgian, Polish and Russian fighters dominated on all three tatami. Fighters from Estonia and Germany made huge progress since their appearance in OYAMA IKF European Cup in 2015 in Wieliczka, OSU!